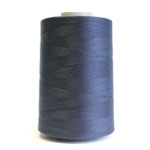 Coats Gral is a lubricated polyester thread made from pre-stablised high tenacity continuous filament polyester. 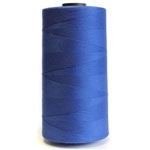 Coats Gral is an excellent sewing thread for all types of leather and offers good abrasion resistance. The soft finish with superior low friction lubrication reduces the effects of needle heat and abrasion. Coats Gral with its higher breaking strength and optimum stretch characteristics produces attractive, fine seams on leather footwear and leather goods.